Since founding Symphonic Digital three and a half years ago, we have had the privilege of working with a number of small and medium size companies. While they come from different industries, all of them shared the same goals, to solidify and/or grow their business. After all, this was the reason why they had reached out to us, to help them become more successful through tailored digital marketing campaigns. We find that if we want to make clients more successful we have to start off with understanding a client’s business. We dig into the overall business goals and drivers then identify the goals and the key performance indicators (KPI). This helps us to create the perfect digital plan and to measure its success. Surprisingly, quite a few clients have problems providing complete answers to our onboarding questions. Some do not know how to define their target audience. Others do not have a clear KPI for their media activities or are not able to provide information on the average value of an existing customer. What they knew was that they wanted their business to grow. 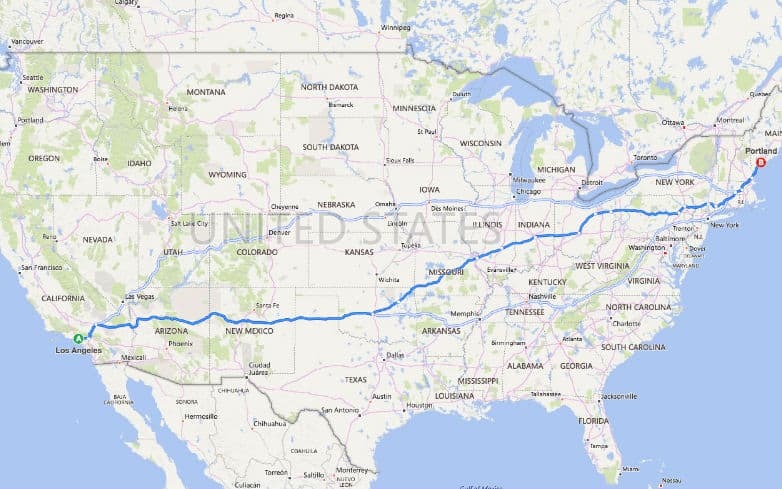 Picture this, you are planning a road trip from Los Angeles, California to Portland, Maine. Basically, the starting point and end point are defined. You also know where Portland, Maine is situated. However, unless you’ve taken this road trip to Portland before, you will not know the fastest, shortest, or most scenic route. Also, along the way, you might encounter challenges. Highways could be closed, hotels could be full, the car could break down or others. So, unless you have an unlimited amount of time and money, would you not spend some time to plan this trip? For starters, you would have to decide whether you want the fastest, shortest or most scenic route. How many miles on average a day you want to drive, which cities you want to stop at overnight, and which sights you want to see. Finally, you would want to measure your travel progress and be kept up to date with traffic information. To achieve that, you would use a navigation app on your mobile device or the one that comes with your car. Defining the route, planning the trip, and setting milestones will help you to get the most out of your road trip, to personalize it. The same way we approach planning a road trip, companies should approach their digital marketing campaigns. It is important to know who their customers are (Gender/Age/Interest/Income/Motivation/etc.). Where they are able to find and engage with them (Search Engines/Facebook/Display/etc.). What needs their products satisfy, and how they know if an additional dollar invested makes sense. In this series of blog posts, we will explore the journey small and medium size businesses should take to create successful digital marketing campaigns. We’ll point out some great ideas and some bad ones as well as things to do and things to avoid. We want to make sure you have a clear picture of the digital marketing activities that help solidify and/or grow a business while knowing at any time how successful they are. Topics we will discuss include Defining Success Metrics, Using the Right Technology to Collect Campaign Insights, Developing a Full Marketing Funnel, among other topics. If you have comments, questions or suggestions for additional blog topics related to this series, please do not hesitate to reach out to us. We would love to provide answers to questions you might have.